Autumn is most certainly in the air now and I’ve been in Somerset for the past 4 days looking after my parents’ nursery. 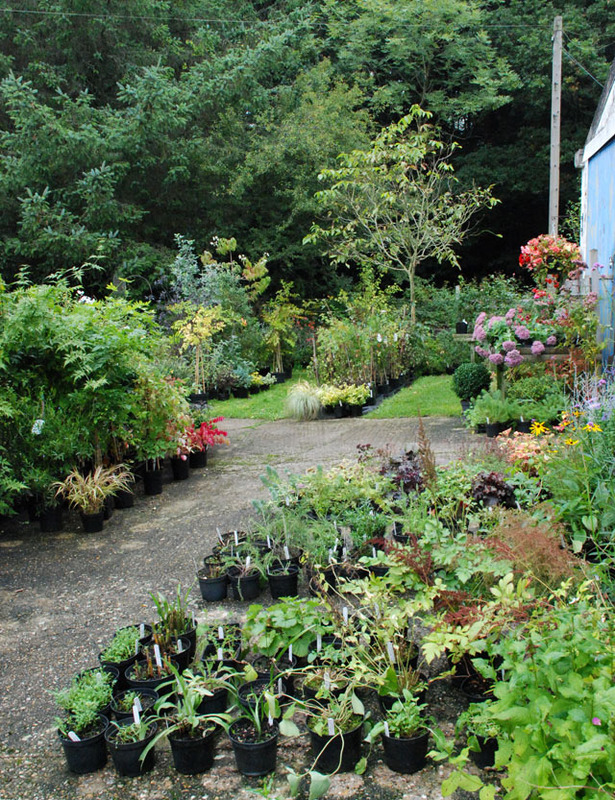 I spent some time sorting out the stock of perennials, some of which needed to be cut back but there were plenty of things still in flower and I thought it would be nice to share some pictures. 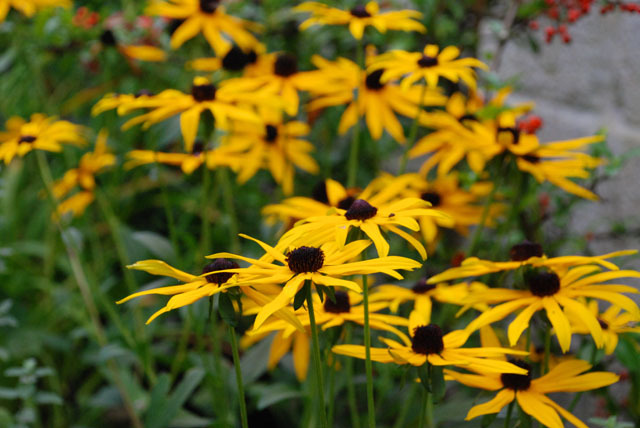 The star of the show by far was the Rudbeckia fulgida ‘Goldsturm’ – the rich yellow brightening up what was a rather grey day. …as are sedum. 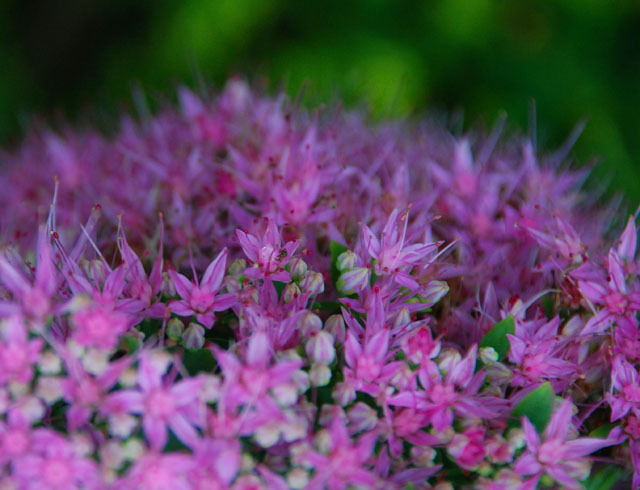 This one is called Sedum spectabile ‘Brilliant’ and has large flat heads of lilac flowers. 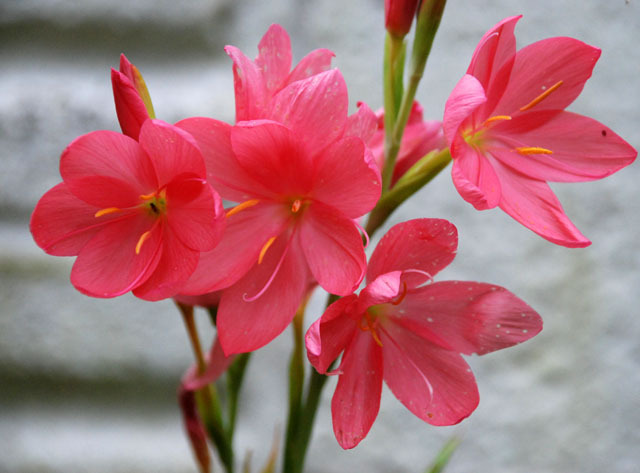 Schizostylis is another later-flowering perennial still looking great at this time of year. 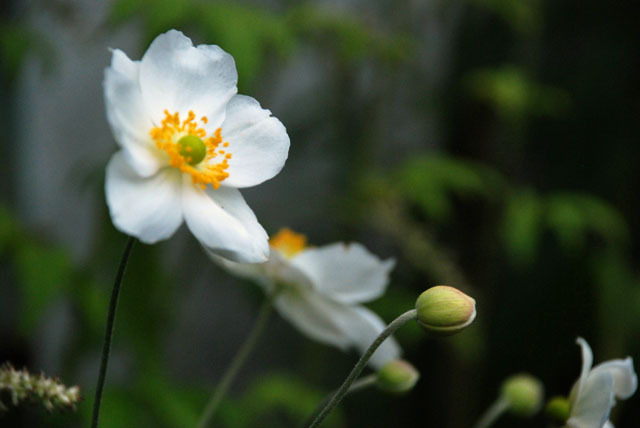 They grow well in a sunny sheltered position with reasonably well-drained soil. 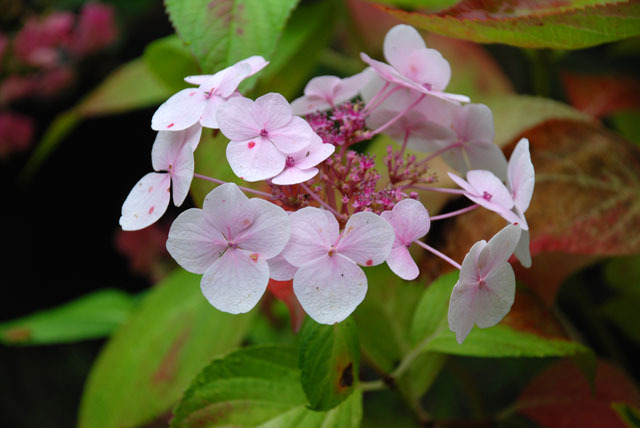 I’m sure you’re aware by now that I love hydrangeas and the lace-cap specimens in the nursery were still flowering strongly. 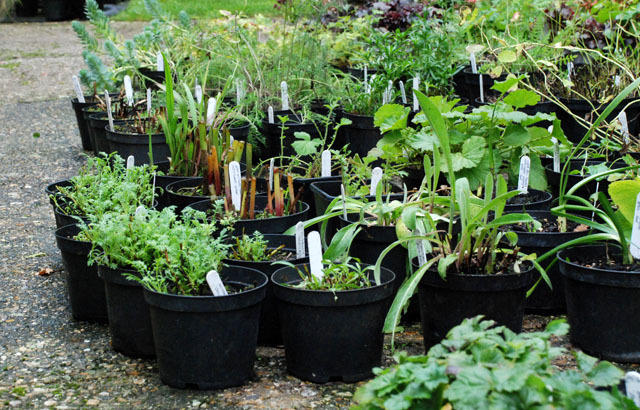 But of course this is the time of year when many plants show off their amazing autumn foliage. 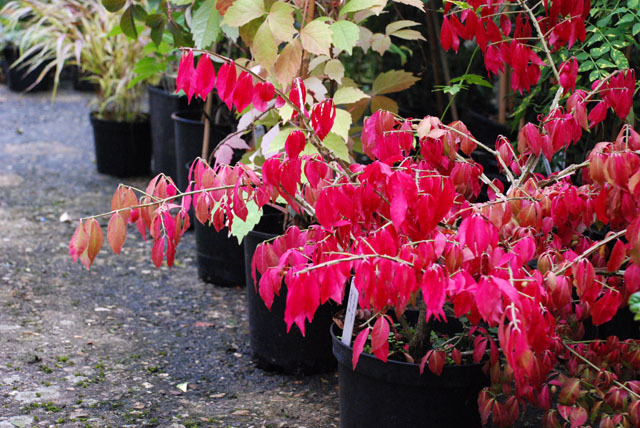 The most striking in the nursery was the Euonymus alatus which was already a bright crimson. 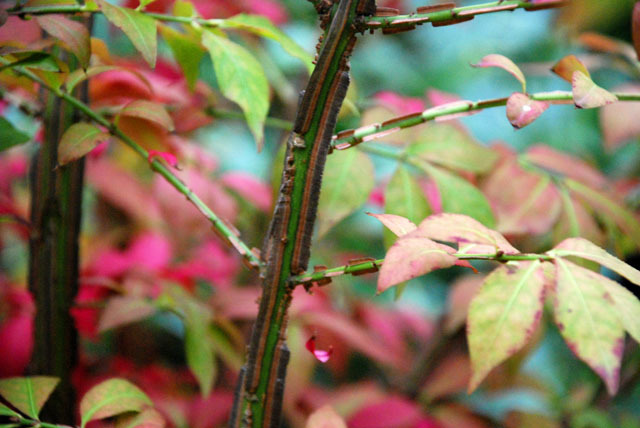 This is the time of year it looks at its best, but when the leaves fall the bark is really interesting too. 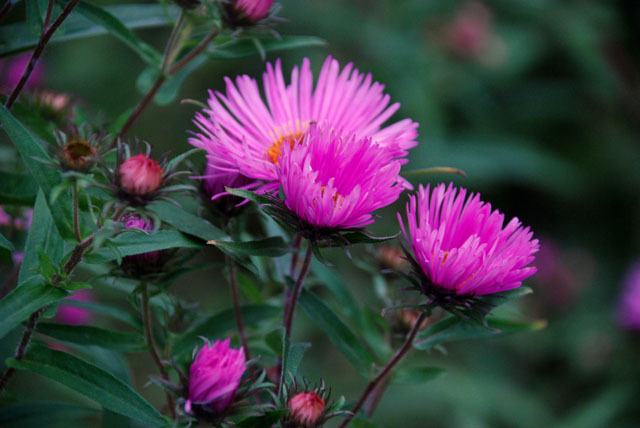 Hope I’ve given you some inspiration for early autumn colour. 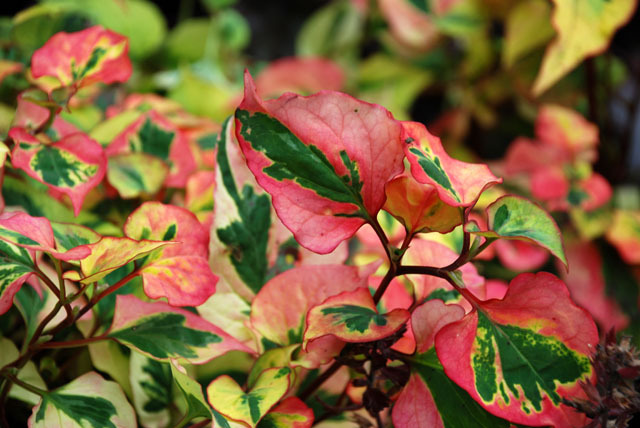 I’ll leave you with an image of a ground cover plant called Houttuynia cordata ‘Chameleon’. 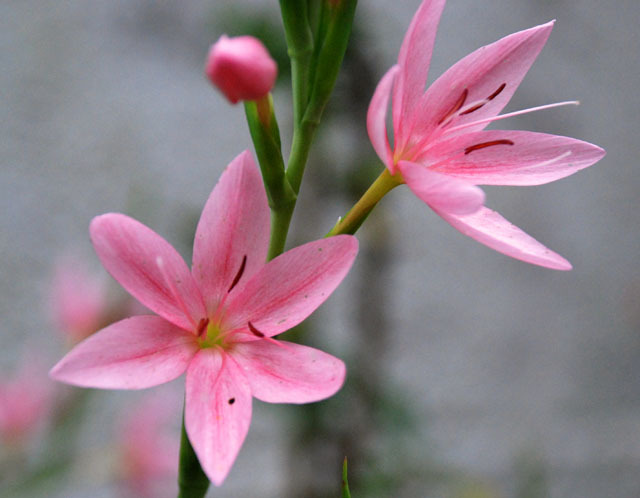 It prefers poorly drained soil in full sun or semi-shade but can be invasive so plant with care.